Attention veterans! 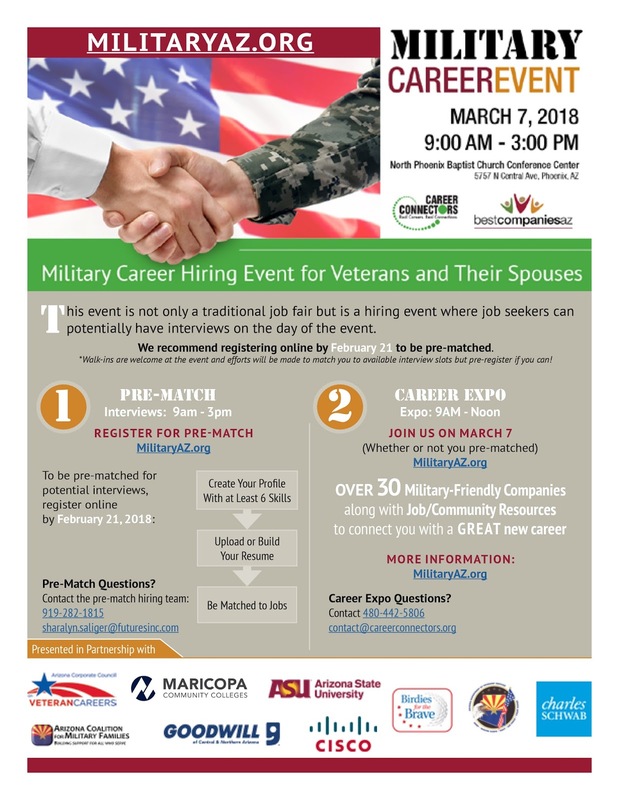 You still have time to take part in this BestCompaniesAZ Military Career Event, March 7 in Phoenix! More than 1,000 jobs will be made available through Arizona’s veteran committed employers. There will be on-the-spot interviews and offers. Free and open to all military – active, retired, reservists -- as well as their spouses and significant others! Bashas' Job Fair Today at Rio Northern! 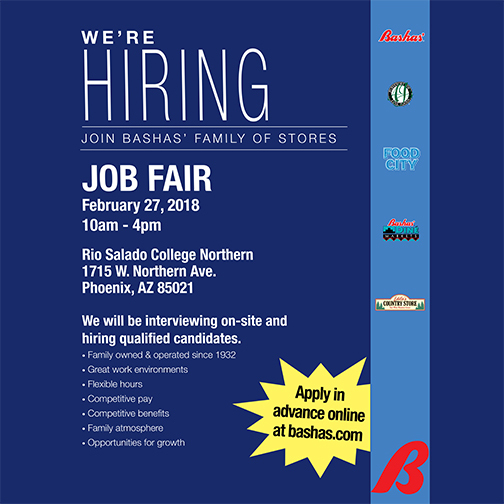 The Bashas' Supermarkets job fair is underway at Rio Salado Northern. On-site interviews and offers will be made. You have until 4 p.m. to apply. 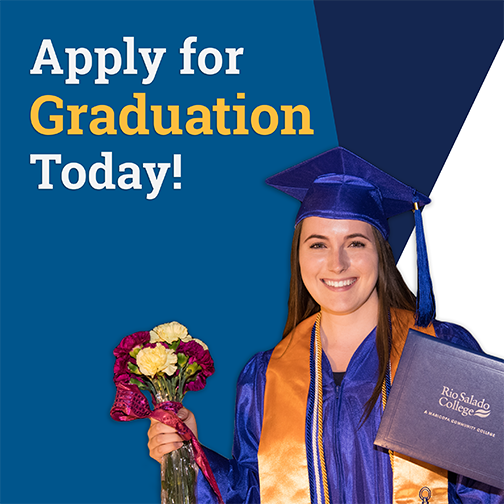 Apply for Graduation by March 1 Deadline! 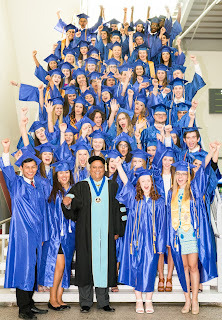 Last call for graduation applications is March 1, RioWaves! 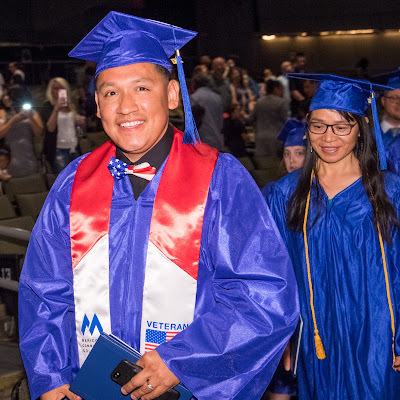 Celebrate your accomplishments with us during our commencement ceremony, May 9 at the Comerica Theatre in Phoenix. Students must complete a graduation application and pay a $25 commencement fee to cover the cost of cap and gown. This video provides insights into the many rewards and benefits of an Early Childhood Education career, from local industry professionals who have a deep passion for what they do! Rio Salado’s Early Childhood Education Program provides multiple opportunities for entry-level career seekers and professionals pursuing continuing education. Learn more by visiting www.riosalado.edu/earlychildhood, emailing earlychildhood@riosalado.edu and calling 480-517-8771. This video was made possible by funds allocated by the U.S. Department of Education under the Carl D. Perkins Act. 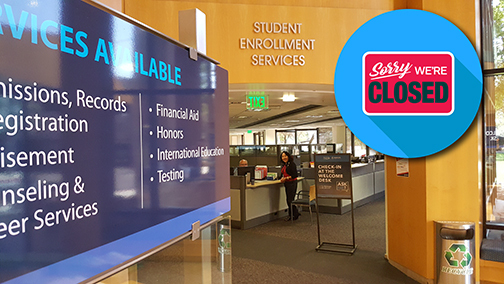 You're registered for classes-- now what? 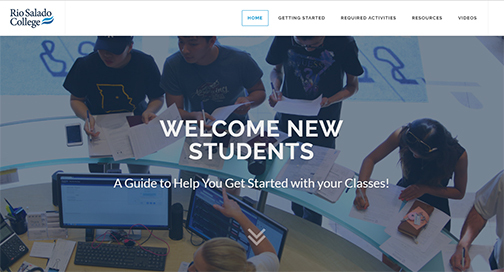 We have an online guide that's designed to help new students get oriented during their first semester at Rio Salado and the Maricopa Community Colleges. 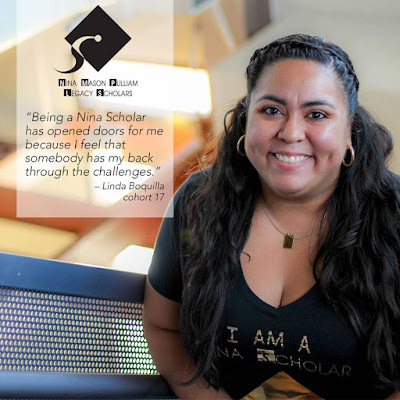 Nina & MCCCDF Scholarship Apps Due Soon! The Nina Mason Pulliam Legacy Scholarship covers full tuition, fees and books-- and provides each student with an academic advisor mentor. It also includes a $3,200 annual living allowance. *Visit my.maricopa.edu/support/nina-mason-pulliam-legacy to learn more. Apply here before the March 1 deadline! 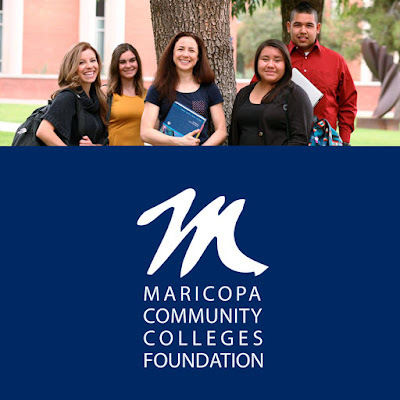 The Nina Mason scholarship is one of hundreds of scholarships available through the Maricopa Community Colleges Foundation. Most applications are due this March. Learn more at mcccdf.org. 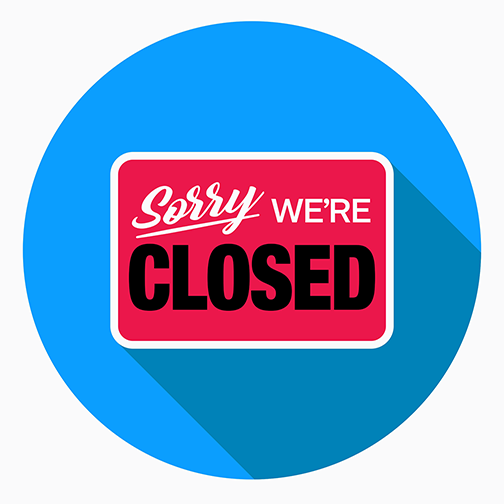 As a reminder, Academic Advisement offices at all Rio Salado locations will be closed Friday, Feb. 23 while staff attend the annual Maricopa Community Colleges Advisement Conference. 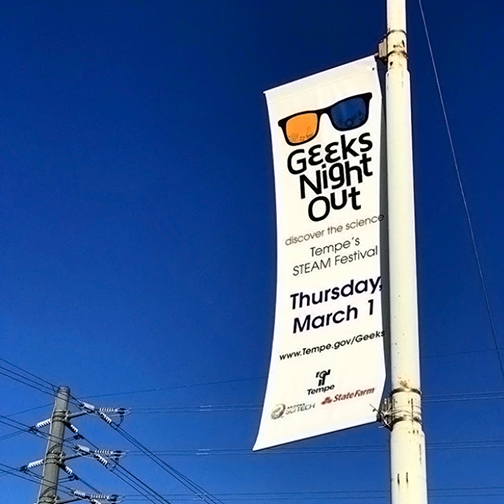 T-Minus One Week for March 1 Geeks Night Out! It’s a sign-- Geeks Night Out is near! Rio Salado College is looking forward to taking part in this event! 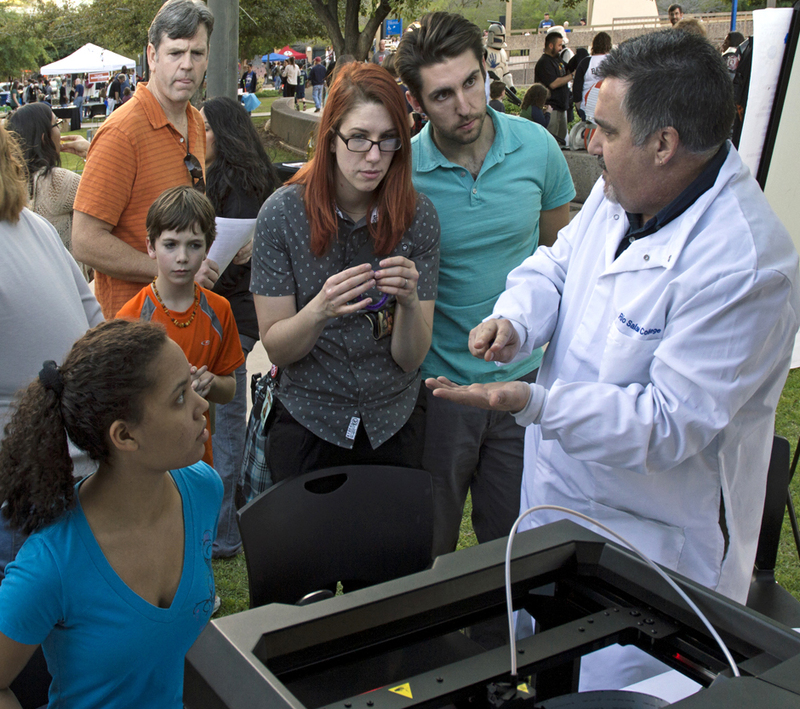 Be sure to stop by our information booth to learn about the latest trends and technologies that are improving our world with STEM Faculty Chair Rick Vaughn and Faculty Chair of Applied Technology Richard Cuprak. And look for our SPOT 127 youth media reporters, who will be covering the event. Check out this video for a preview of what to expect in 2018. 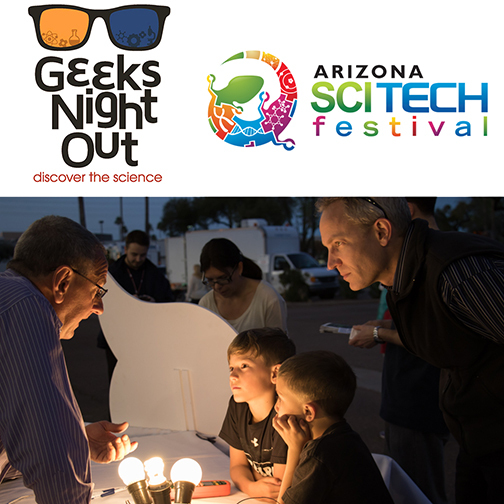 Tempe's Geeks Night Out is presented by State Farm. Rio Salado CTE classes can help high school students learn new skills and get a jump start on college. 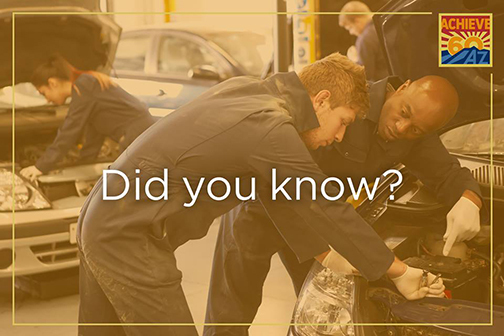 CTE pathways include certificates or degrees in business, information and computer technology and engineering, depending on your high school’s program offering. 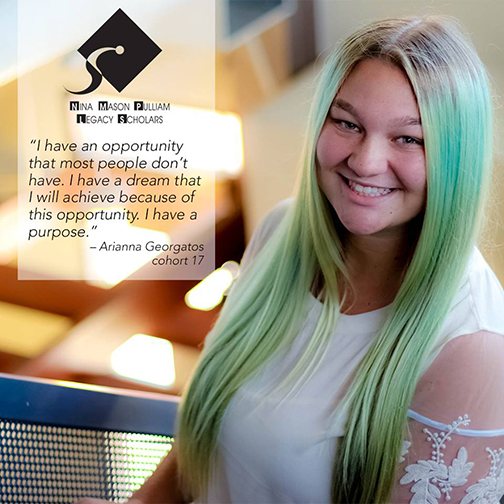 Learn about the efforts by Achieve60AZ to ensure that 60 percent of Arizonans have a certificate or college degree by 2030 by visiting achieve60az.com. Looking for employment? 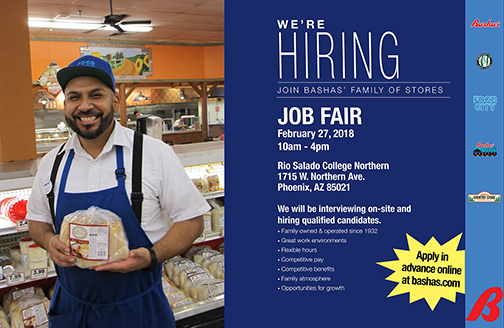 Take part in a free job fair hosted by Bashas' Supermarkets Family of Stores and Chicanos Por La Causa - CPLC at Rio Salado Northern in Phoenix on Tuesday, Feb. 27, 10 a.m. – 4 p.m. Apply in advance now at bashas.com. Participants will have a chance to take part in on-site interviews. On-site hiring for 100+ positions! Openings: Entry level, cashiers, deli/meat/seafood, pharmacy tech, grocery clerk, management and more! Many of today’s 18-year-olds are concerned with technology and staying connected: selfies, Snapchat, texting, iPhones, Instagram, Netflix, etc. Lennon Audrain’s concern is of Arizona’s teacher shortage. 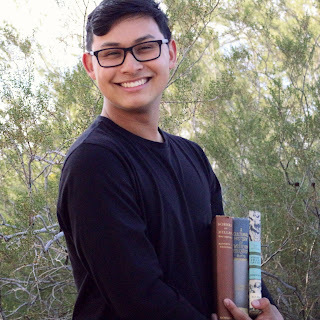 At just 18 years old, Audrain is already an engaging public speaker, a passionate advocate for teachers, and on a fast track to making a difference in the education world thanks to Rio Salado College’s dual enrollment program. Dual enrollment allows high school students to get a head start on college by earning both high school and college credit for certain courses. Specifically, Tobey notes Audrain’s fundamental approach to addressing issues facing the education profession. 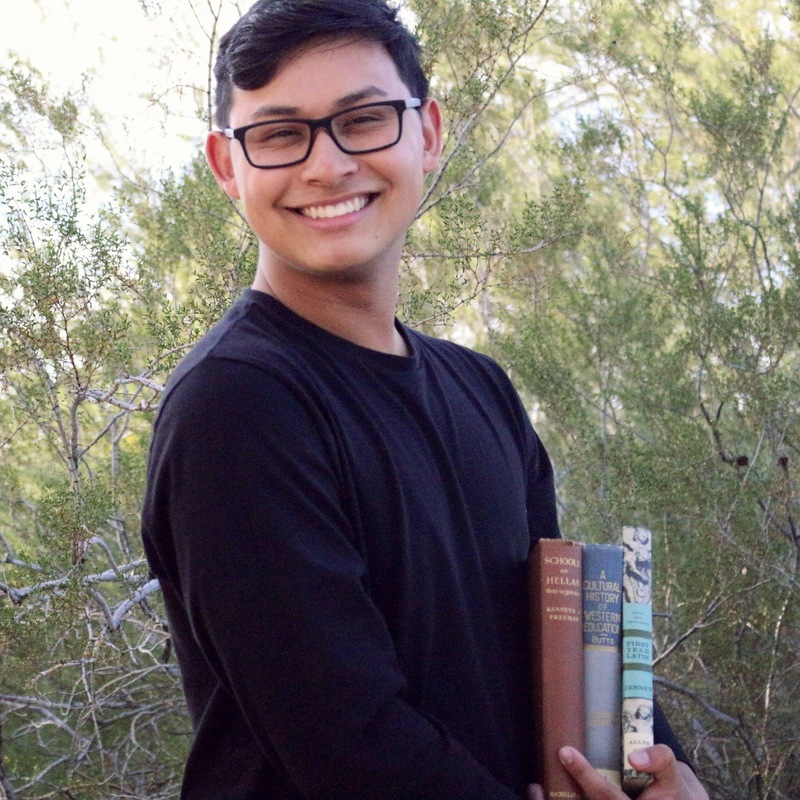 Thanks to dual enrollment, Audrain graduated from Rio Salado College with two associate degrees in January 2017, five months before he graduated from high school! 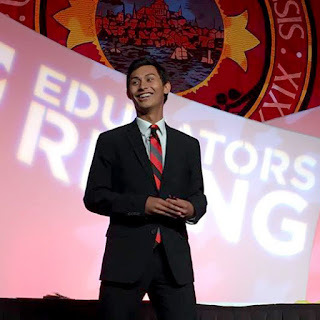 He is looking forward to the student teaching component of his bachelor’s degree requirements. 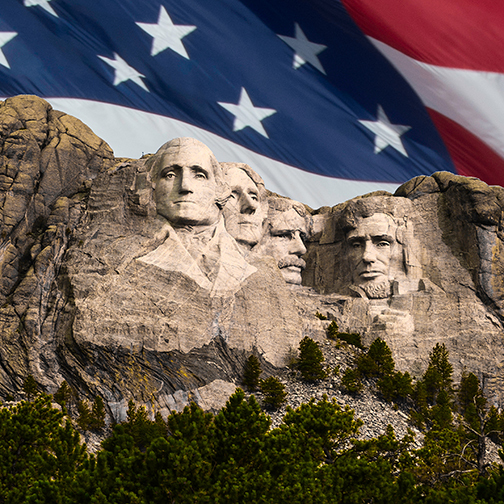 Rio Salado and the Maricopa Community Colleges will be closed Monday, Feb. 19 in honor of Presidents' Day. Services normally available 24/7 such as our Technology Support Helpdesk and Ask a Librarian will remain available. Explore the colorful history of our nation's presidents by visiting this White House web page: www.whitehouse.gov/about-the-white-house/presidents. Let’s celebrate your accomplishments, Rio Waves! 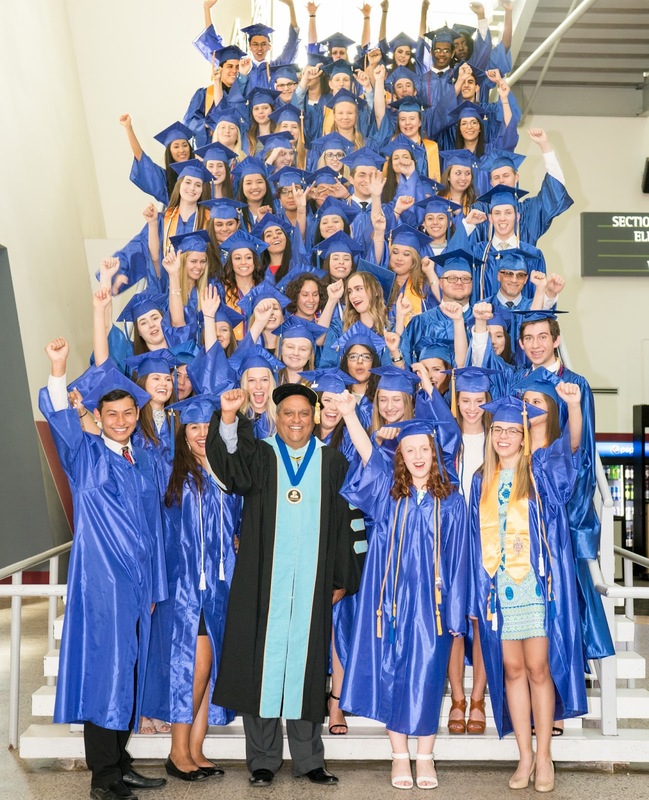 Take part in Rio Salado’s 2018 Commencement, Wednesday, May 9 at Comerica Theatre. Be sure to complete your graduation application by the March 1 deadline. Pictured above is 2017 commencement student speaker Gloria Mendoza with Rio Salado President Chris Bustamante. 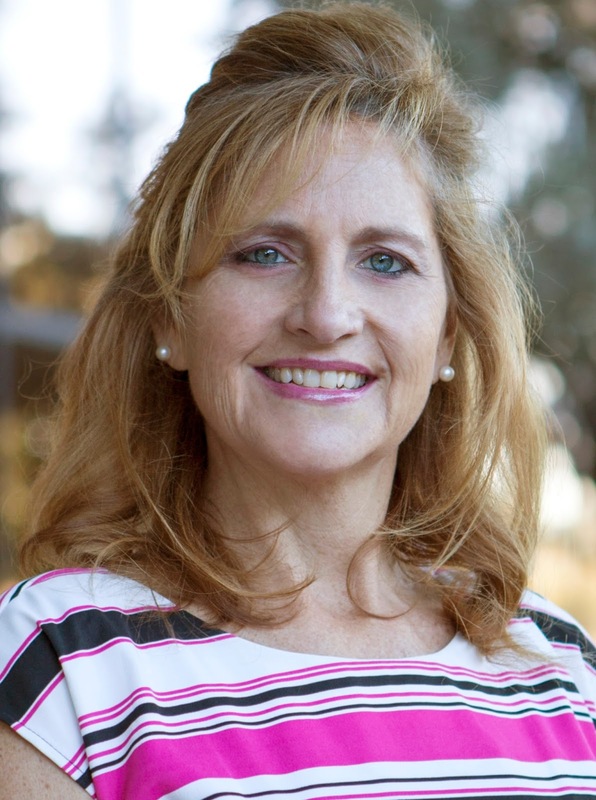 Learn more about Gloria in this RioNews blog. Reminder, our bookstore is closed today for inventory and Presidents' Day. We will resume regular business hours Tuesday, Feb. 20. Here are some great photos of Rio Salado's Teacher Education team through the years. A big thanks to Rio Salado Director of Community Partnerships and Programs Educator Sylvia Riley for this contribution. 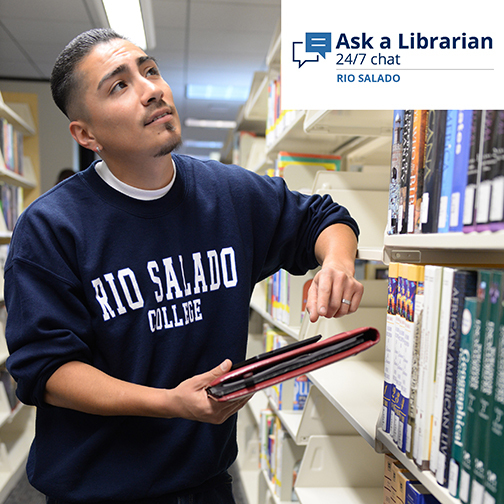 You can share your photos, stories and memories via email to RSCmemories@riosalado.edu or social media using the hashtag #RioSaladoCollege40th. Check out other historical photos and facts on our 40th Anniversary website at www.riosalado.edu/40 and our Facebook photo album. Pictured here are the graduates of Class #506 from the Phoenix Regional Police Academy (formerly the Arizona Law Enforcement Academy - ALEA). Class #506 recently completed 700+ hours of training to become certified officers for the State of Arizona. 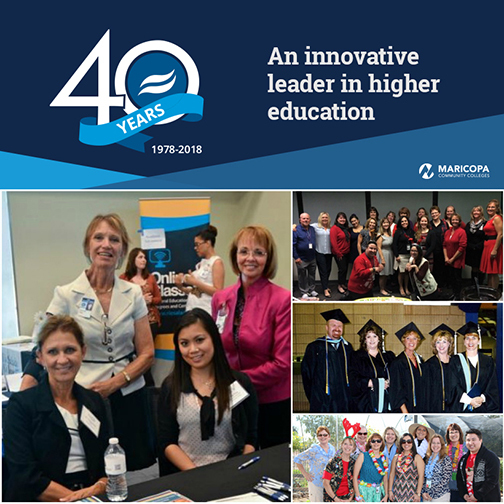 Rio Salado College plays a role in the academic development of their training and has enjoyed a long-standing Educational Service Partnership with the Academy since 1990. In that time, thousands of recruits have graduated from the Academy to become police officers. By completing this training, these officers will begin their law enforcement career with 39 college credits and a Certificate of Completion in Law Enforcement Technology from Rio Salado College. Through the years, many officers have taken the extra step to attain an Associate in Applied Science Degree in Law Enforcement Technology. 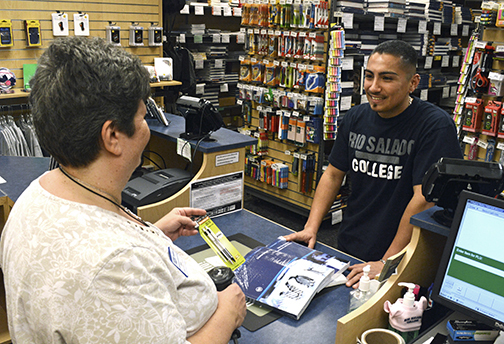 Many law enforcement students have consolidated additional credits earned at Rio or elsewhere, which allowed them to complete their degree faster. Since 1999, Rio Salado has awarded 5,790 certificates of completion and 381 associate degrees to Phoenix Regional Police Academy graduates. Rio Salado is proud of this partnership and its ability to provide police officers with the means to pursue higher learning and career advancement-- in a cost-effective, timely way. Although they only need a GED or High School Diploma to start as a police officer, the minimum education requirement to promote to Sergeant and earn substantially more money is 75 hours of college credit. The Rio Salado partnership with the law enforcement community has contributed to an officer’s ability to earn more money based on education, job performance and promotion. To learn more about our Law Enforcement Technology programs, visit riosalado.edu/programs/law_enforcement or call 480-517-8461. Photo courtesy of Phoenix Regional Police Academy. The Nina Mason Pulliam Legacy Scholarship is designed to help students who come from disadvantaged backgrounds obtain the resources and financial support they need to succeed in college. The scholarship covers full tuition, fees and books-- and provides each student with an academic advisor mentor. It also includes a $3,200 annual living allowance. 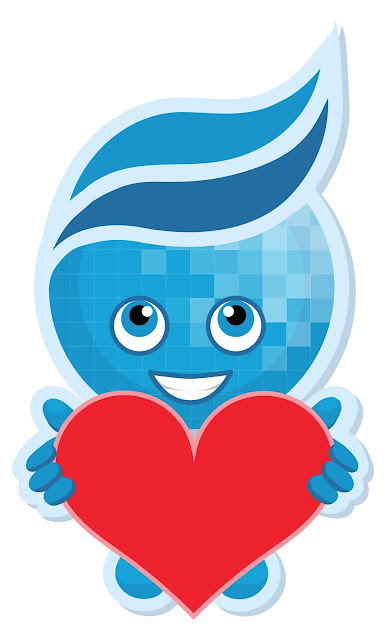 Happy Valentine's Day, Rio Waves! 24/7 Library Service for You! Need a librarian-- in the middle of the night or when most libraries are closed? Ask a Librarian was made for you! The librarians are quick to reply-- and available when you need them most. The Bookstore will be closed Friday, Feb. 16 for inventory. Academic Advisement offices at all Rio Salado locations will be closed Friday, Feb. 23 while staff attend the annual Maricopa Community Colleges Advisement Conference. 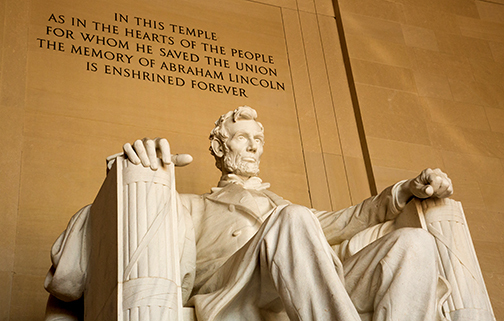 Don't forget about our Presidents' Day closure on Monday, Feb. 19. Looking for a new career? 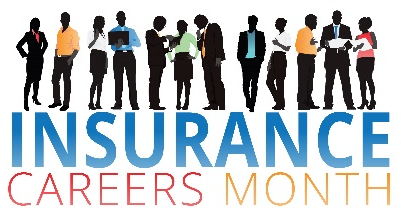 February is Insurance Careers Month, a nationwide initiative led by insurance industry leaders to recruit, train and hire a new generation of insurance professionals to fill an estimated 400,000 jobs by 2020, which will become vacant as nearly 25 percent of the insurance industry’s workforce will begin retiring in 2018. 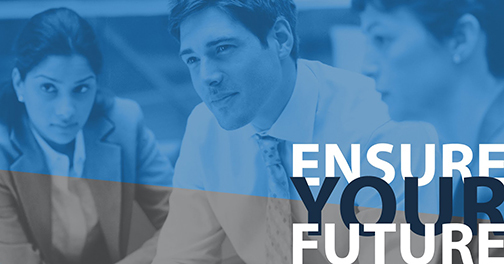 Rio Salado’s Associate in Applied Science and Certificate of Completion in Insurance Studies, which is the first of its kind in Arizona, was created in direct response to the insurance industry’s need to fill current job vacancies and projected employment shortfalls. Rio Salado collaborated with Glendale and Mesa Community Colleges and 35 insurance professionals from 20 different insurance companies to develop the program, which is designed to prepare individuals for entry-level jobs in the growing insurance industry and enhance the skills of current insurance employees. 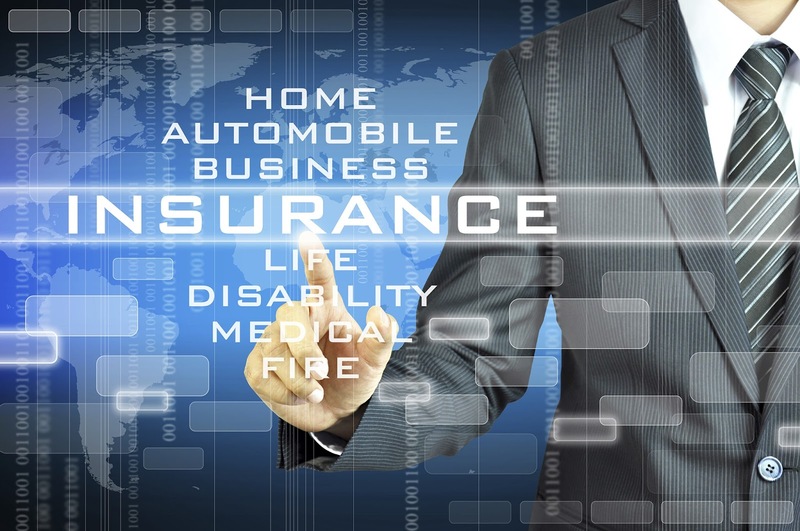 To learn more about Rio Salado's Insurance Studies program, visit www.riosalado.edu/insurance. 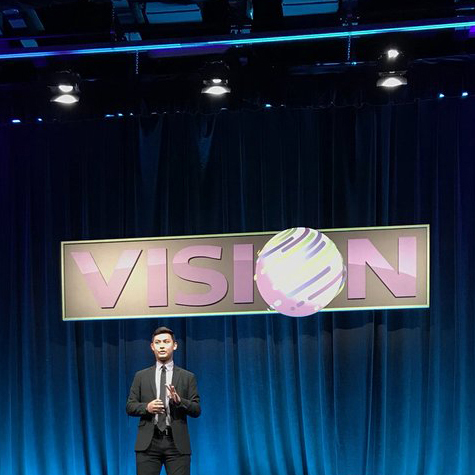 Many people, especially students and young professionals may not readily see how their career goals are in sync with the insurance industry. MyPath, www.insuremypath.org, is a non-profit organization that provides free services to help career seekers choose a specialty that meets their personal and professional goals, details about various careers and the impact they will have on the world around them. It also includes details about scholarships, internships and other resources to help people transition into the industry. To learn more about Insurance Careers Month and the resources available to entry-level professionals, visit insurancecareerstrifecta.org. The month of February is Black History Month or National African American History Month. It is an annual celebration honoring the achievements of black Americans and a time for recognizing the central role of African Americans in U.S. history. 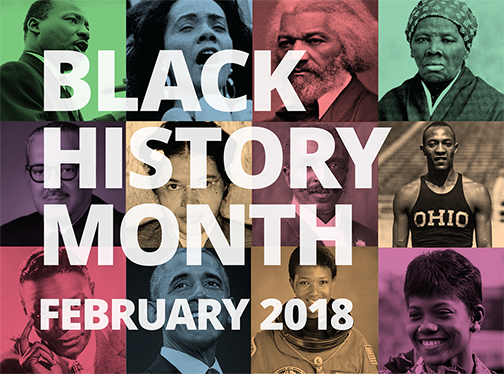 The Rio Salado Library is proud to honor Black History Month by highlighting targeted library and web resources that can help you learn more about the lives, contributions and legacies of African Americans. Explore the Black History Month Topic Guide now. Pictured here is sociologist, historian, civil rights activist and author W.E.B. 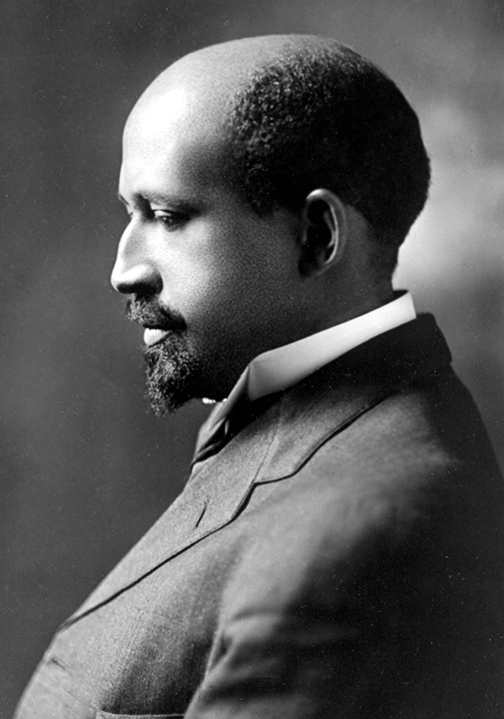 Du Bois (1868-1963), who was also one of the co-founders of the National Association for the Advancement of Colored People (NAACP) in 1909. 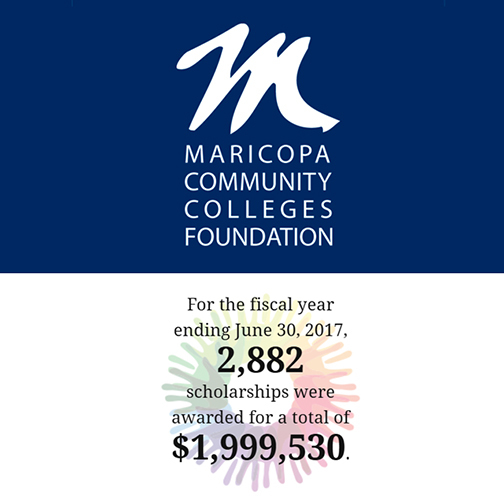 The Maricopa Community Colleges Foundation has awarded thousands of scholarships through the years! Fall 2018 scholarships are now open. Apply before the March 16 deadline. 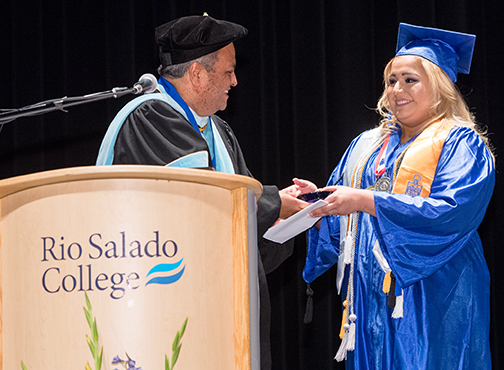 There are several scholarships specifically for Rio Salado College students and employees, including the James P. Hornburg Memorial Scholarship for students majoring in Law Enforcement and Corrections degree programs at Rio Salado and the Dr. Linda M. Thor Scholarship, which is geared toward helping single moms. There are also scholarships just for veterans. The streamlined process, which only requires one general application, will make it well worth your time! Don't discount those small scholarships. The few hours you spend on a scholarship application will be a good investment. At the very least, you'll gain valuable practice in mastering the application process. Students must have a valid MEID and password to apply and complete a General Scholarship Application to be considered. Don't hesitate to call on Rio Salado’s Counseling Services team if you need help with your application. This weeks’ 40th Anniversary Throwback Thursday takes us back to 1980-81. 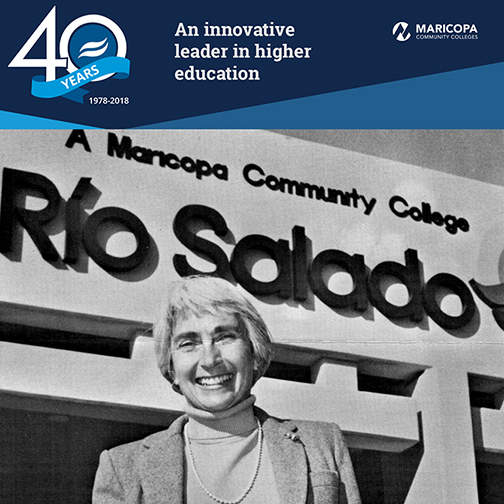 Pictured here is Dr. Myrna Harrison, who was appointed as Rio Salado’s President in 1980. 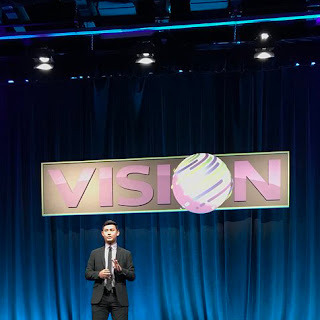 Harrison, who was featured in a 1981 Phoenix Magazine article said "Our whole emphasis is to work with the communities, the city managers and the city councils to develop interest in education." She also said "Companies believe the better educated the employee, the better the employee." Here’s a look at other historical recognitions and achievements about the college and a couple of pop culture factoids from 1980-81. Check out other historical photos and facts on our 40th Anniversary website at www.riosalado.edu/40 and ourFacebook photo album. Richard Cuprak captivating visitors in 2017. 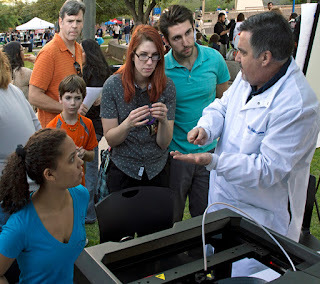 Join the City of Tempe for Geeks Night Out, March 1, at the Tempe Community Complex. It's the ultimate, family-friendly gathering for people who love exploring the wonders of science, technology and innovation! 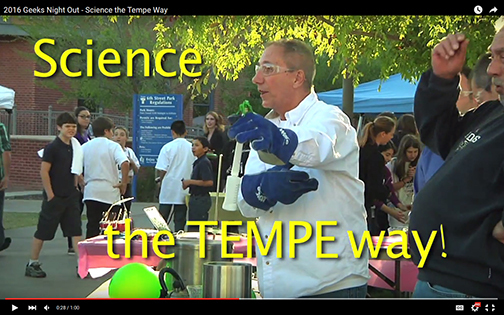 Rio Salado is proud to serve as a partner in this annual Arizona SciTech Festival. Be sure to stop by our booth and join STEM Faculty Chair Rick Vaughn and Faculty Chair of Applied Technology Richard Cuprak to learn about the latest trends and technologies that are improving our world. Visit this event page for the latest details. Check out this video for a preview of what to expect in 2018! Celebrate Black History Month with the Maricopa Community Colleges! Enjoy educational, cultural and entertainment events this February. Check out the latest event listings. Ready to Launch Your Mobile App Career? 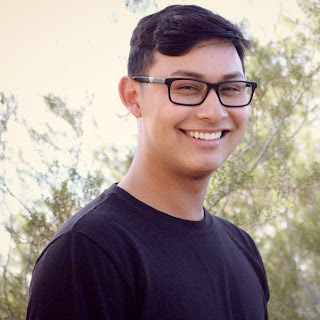 Rio Salado's Mobile Apps Programming Associate in Applied Science (AAS) degree is designed to provide information and training on the programming aspect of technology, to help you develop the skills needed to work in the programming field, including mobile applications programming. Ready for your next educational adventure? Classes start Mondays. Time to Apply for Graduation - Deadline March 1! Celebrate your accomplishments with us during Rio Salado's 2018 Commencement ceremony, May 9 at the Comerica Theatre in Phoenix. Graduation applications are due March 1. 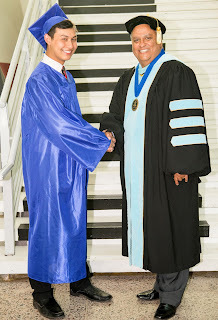 Students must complete a graduation application and pay a $25 commencement fee to cover the cost of cap and gown. Learn more about the ceremony and submit your graduation application online by visiting this web page. 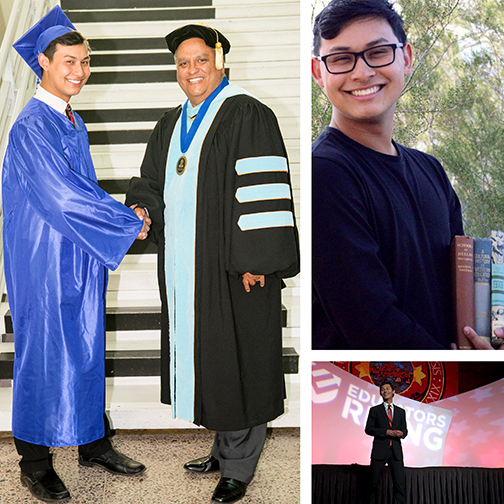 Commencement is a time to celebrate your educational accomplishments and the journey you took to reach your goals. 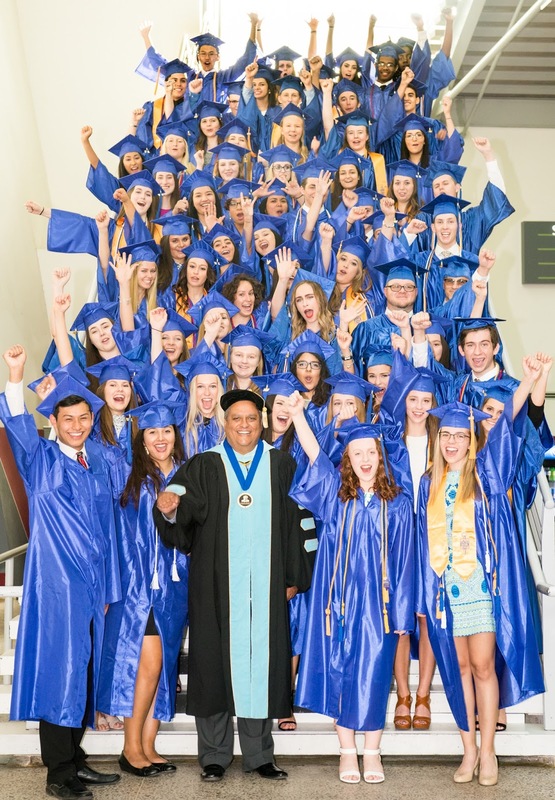 Share this amazing achievement with your family and friends by participating in Rio Salado’s annual commencement ceremony in May. This weeks’ 40th Anniversary Throwback Thursday begins with a look at 1978-79. 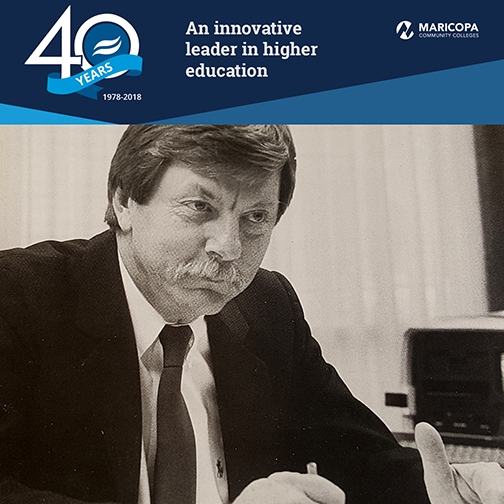 Pictured here is Maricopa Community Colleges Chancellor Paul Elsner, who was instrumental in the creation of Rio Salado College (RSC) in 1978. He understood the potential that this innovative institution would have. Here’s a look at other historical recognitions and achievements about the college and a couple of pop culture factoids from 1978-79. 1978 Top Music Hit: Shadow Dancing by Andy Gibb. 1979 Top Music Hit: My Sharona by Knack.